Camping is a great way to enjoy the outdoors but camping out doesn’t mean that you shouldn’t be comfortable. In fact, there are so many products that can provide you with a decent amount of comfort. Even if you do not camp out, you can still use some of these items to enjoy the natural world around you. One of those is an outdoor adjustable chair, such as the Timber Ridge Zero Gravity. Outdoor adjustable chairs make it more comfortable for you to sit outside when you’re in nature. They not only provide a place to sit, they also keep you off the cold, damp ground. 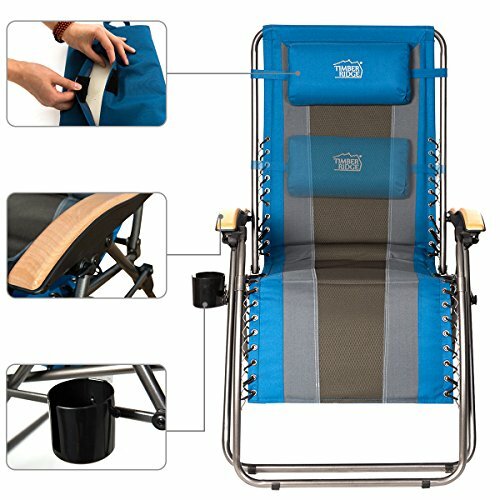 This can keep you comfortable and supported when performing activities such as waiting for a fish to take your bait, telling stories around a campfire or simply enjoying the beauty of your backyard. 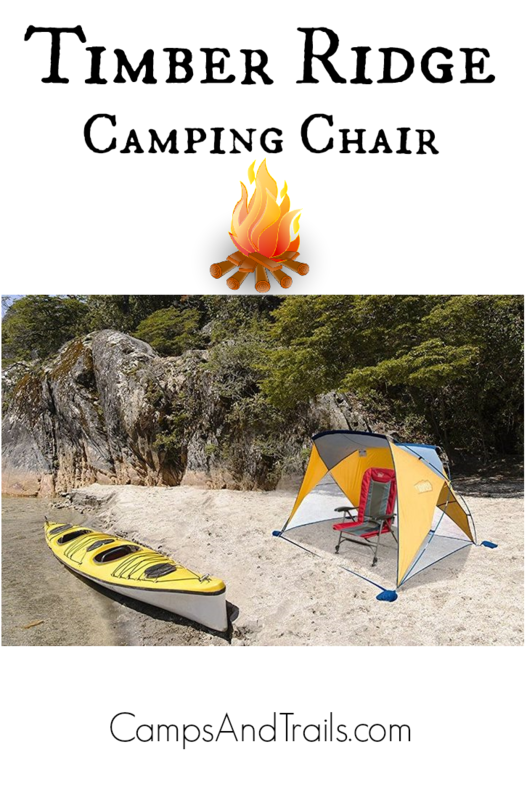 It’s a fact that there are many camping chairs on the market; it could be difficult to choose just one that stands out among all the rest. I have investigated one of the high-rated outdoor chairs on the market today, a Timber Ridge chair. Below you will find my detailed review of the Timber Ridge Oversized XL Padded Zero Gravity Chair. I hope this review will make it easier for you to decide whether or not it is the right outdoor armchair for you. But before telling you what I loved and hated about this product, let me first tell you about its features. 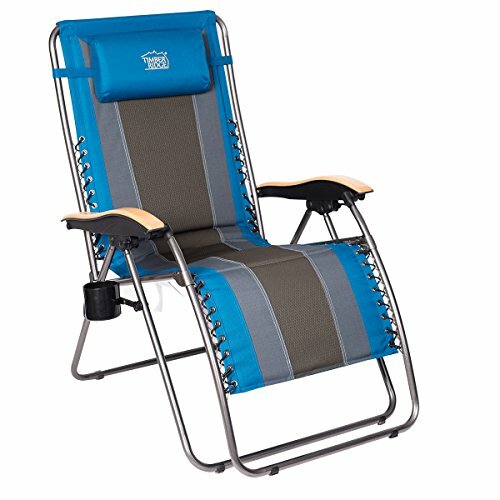 The recliner provides you with a comfortable seat whether you are out in the wilderness or simply outside in your yard. 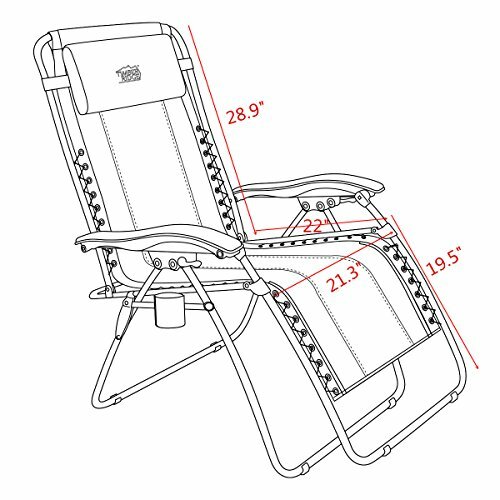 The chair’s adjustable reclining position make sure that it is properly leveled. This makes it a great choice for those who enjoy outside air. It can also safely support up to 350 lbs. of weight. 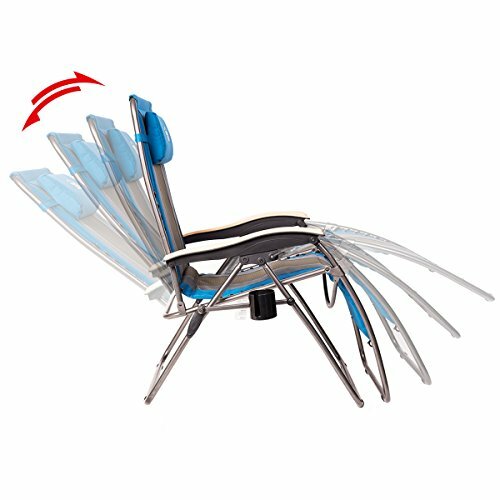 The steel tubes make up the frame of this chair; this enables it to support so much weight. The fabric used is polyester, very comfortable and durable at the same time. It is foldable, with dimensions of 43.5 X 22 X 21.3 inches when unfolded and a seat width of 21.5”. It is easy to carry. Its compact size makes it easy to fit into your vehicle. The height of the backrest and the width of the seat are greater than most of the outdoor chairs on the market today. This ensures that it will provide a comfortable seat to people of any age or build. It comes fully padded to ensure that the user is most comfortable not only in the seat but also on the back, shoulders, and neck. The backrest can be adjusted to different positions making it possible for you to lie down, sunbathe or just read a book. The armrest is also adjustable and will stay straight and parallel to the ground, even if the backrest is in a reclined position. It also comes with a 1-year manufacturer’s warranty. I think this item is a great one because it is both durable and comfortable. I’m happy with all its features but there are some things that could have been made better, considering its retail price. Having said that, I’d still recommend it to those who don’t mind spending money on a good camping chair. I love the durability that it comes with but am not a great fan of its weight. However, I understand that the heavier weight naturally comes with heavy-duty metals. I also thought it would have been a nice touch to include some accessories to make it easier to carry. But these are just minor adjustments or additions; I see no major flaws in the design or construction of the armchair. I especially favor this recliner because it is superbly adjustable, whether one considers the recline angle or the overall setup. The heavy-duty materials and durable construction convince me that it can last years if properly cared for. It is not only a durable and comfortable outdoor chair, it's also a rather stylish one.